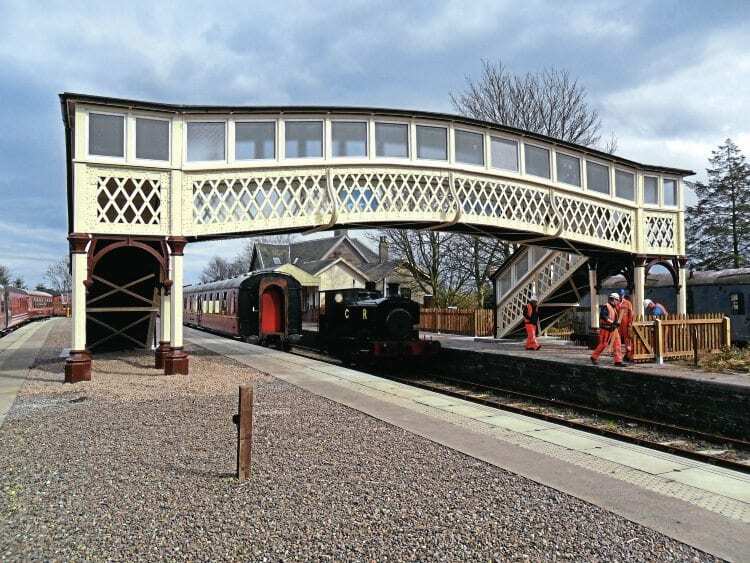 A CALEDONIAN Railway covered footbridge has been given a new lease of life at the preserved Caledonian Railway’s Bridge of Dun station. This development brings to an end four years’ work to secure its future. The ornate lattice 1895 structure was originally erected at Dunblane and gave more than 100 years’ service. However, a 2012 Network Rail upgrade of Dunblane station called time on its continued use on that site owing to the need for improved disabled access and provision for potential electrification. NR was keen to see the bridge given a new home and approached the Caledonian Railway, with an agreement made to rehome it at Bridge of Dun. The bridge was subsequently dismantled and refurbished by Millar Callaghan Engineering Ltd in Irvine. Following groundwork on site it was finally erected during March with the main span being lifted into position on the 27th. The bridge came into use at Easter with a formal reopening planned for later in the year.